Reading Well for Mental Health provides information and support for people with common mental health needs and for dealing with difficult feelings and experiences. 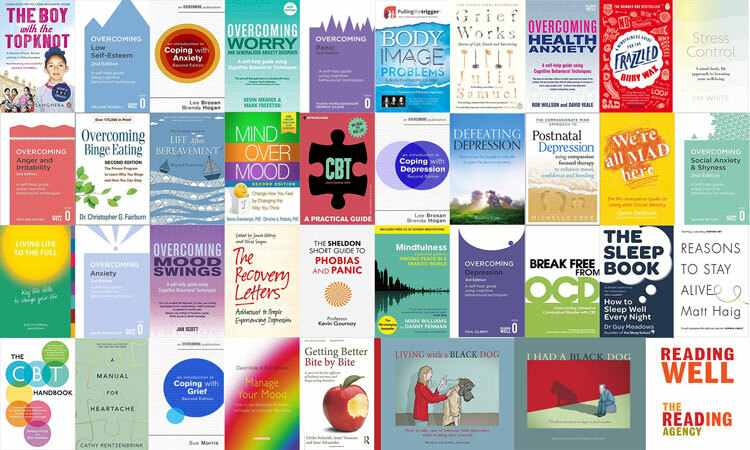 The books provide quality-assured information, practical advice for living with mental health needs and support for self-management. The list also includes personal stories written by people living with mental health needs and their carers. Discover the Reading Well for Mental Health list here. Read Hannah's blog post on the benefits of reading for your mental health. The Reading Well for mental health books are available in all Bedford Borough and Central Bedfordshire Libraries. Anxiety UK, British Association for Behavioural and Cognitive Psychotherapies, British Psychological Society, Carers UK, Health Education England, Mental Health First Aid England, Mental Health Foundation, Mind, National Association of Primary Care, NHS England (IAPT), OCD Action, Public Health England, Royal College of General Practitioners, Royal College of Nurses, Royal College of Psychiatrists, Royal Society of Public Health, Self Management UK. Find out more about Reading Well for Mental Health at The Reading Agency website or Contact Us.